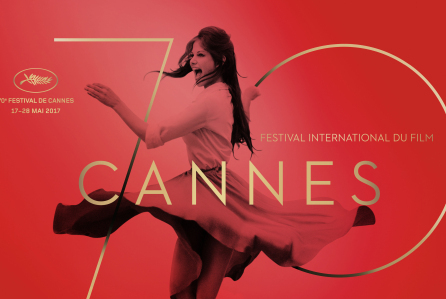 Cannes film festival is upon us and thousands of enthusiastic filmmakers are already gathering along a stretch of a mile or so with the aim to pitch, prattle, pontificate, and seduce some of the top honchos in the film business with the hope of leaving no blemishes. It’s that once a year experience that ushers us dream weavers onto the Sunny (but sometimes drenched) Croisette with the aim of beguiling the monied people with the next hit that will cause a stir in the future market place. Networking has always and will always be part and parcel of Cannes, buzzing along the promenade and itching to get into the next hottest event in order to rub shoulders with the wanted and desired of the film Bourgoise. Is the next pitch which we’ve recited endlessly or the Business plan that we’ve slaved over tirelessly be the thing to get us that much closer to the loot? Lets pause for a second and ask ourselves why are we doing this? And, most likely the answer will be because it’s what we’ve always wanted to do since we were a wee toddler after experiencing _________ (fill in the blank), up there on the silver screen. Yes, it’s a passion of ours and so it should be, along with the thousands of other filmmakers who parade up and down the Croisette eager to hustle with the bustle. But, what would make YOU stand out from the crowd? Film Business is a people’s business and the more people we meet the higher the chances of us eventually connecting with someone who might see a spark in our jingle. The show business world is just that – to show ourselves in a business manner and enthuse and inspire those we talk to. The passion should be there and it must be contagious to attract attention. But… why does it always have to be about us – about the ME and not about the YOU? 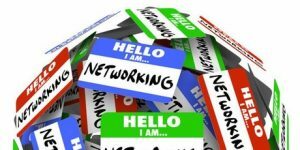 From my experience (and it is my own point of view so don’t take it as gospel) when it comes to networking and doing the rounds whether at festivals, events and exhibitions, most of the time I notice that whenever I’m chatting to someone there’s a sense that the person i’m facing is fishing to find out what they can get out of me. It’s the case of what can YOU do for me matey, and if there’s a sense of feeling that it’s going to be a waste of their time then that person will, most probably, politely extricate themselves from the conversation and move on to the next victim. We’re all looking for that next pot of gold/project to enrich our lives but we seem to neglect the fact that that thing we so desire for, that seems elusive and out of reach, can be within our grasp if we were so patient and were to take the right steps when communicating with others. And communication is key here peeps which then leads to the other two C’s which are Connecting and eventually Collaborating. But this is a process which takes time, to build rapport, to break bread, to bounce ideas off each other. Communicating with those that we meet first time requires work and patience and its a shame that the majority of us don’t seem to have the diligence to do so. We’re after the quick fix, the easy target, the fast approach – in and out – what can you do for me way of thinking rather than approaching in a different manner all together. And what is that manner? Don’t multi task – Be present when speaking to another person. Don’t be thinking about an argument that you had or how yummy those Hors d’oeuvre look. Don’t text either. Don’t be half in it and half out of it. Be fully immersed in the conversation. Avoid pontificating – that’s what bloggers do – like me 😉 Leave it for us to let off steam. Enter every conversation assuming that you have something to learn. Which means setting aside your own personal opinion. Use open ended questions – the five W’s – who, what, where, when and why and I’d like to add the How as well. Don’t ask Yes and No response questions. Ask interesting questions. Dig deeper. Be curious about the other person’s projects and why they chose do to those in particular. And finally – Breathe – Pause – Reflect – and remind yourself that you’re here to help and assist the other person in any way you can. Silently ask yourself if not me then who else do I know that can help this person with what they’re looking to achieve. Of course, there is that element of Give and Receive that I’m sure you’ve heard about but how often do we actually get to do that on a conscious level? Lets make a point this time when we’re in Cannes to go around and see people for who they really are and endeavour to help them become what they want to become, without any judgement. Make it a game if you want to – approach ten people and find out more about them and what they’re looking to achieve. And see if you can suggest, advice, recommend or even connect them with others who you think might be of help if you can’t. That my padre is what networking should be about – the ability to communicate openly, sincerely, without judgement, and with plenty of grit in order to help the other fellow human being – whatever their journey may be. Go forth and get Communi-Canne-d.